Ninth-grader Philip Malloy was suspended from school for humming along to the Star-Spangled Banner in his homeroom, causing what his teacher, Margaret Narwin, called “a disturbance.” This small incident soon ignited a firestorm of debate on that national stage. 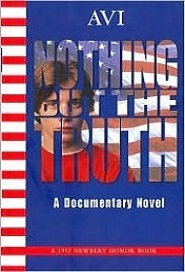 Was he standing up for his patriotic ideals, only to be squelched by the school system? Was Ms. Narwin simply trying to be a good teacher? Or could it all be just a misunderstanding? What is the truth here?